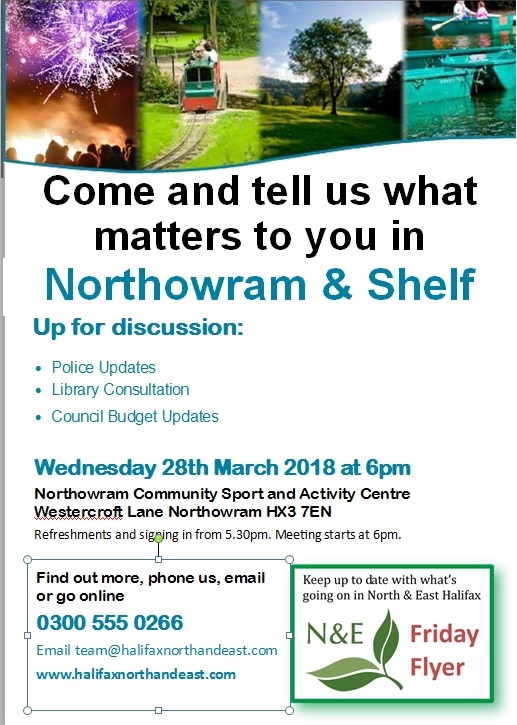 Northowram Community Sport and Activity Club, Westercroft Lane, Halifax. HX3 7EN. 5.30pm refreshments and signing in. 6pm meeting starts.